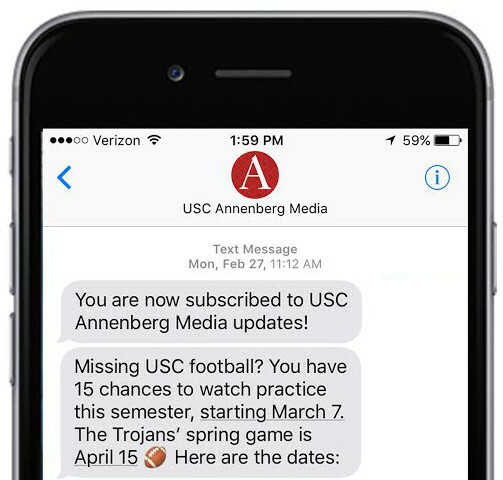 She writes data-driven articles about endowments and tuition for the University of Southern California's Daily Trojan. She is a well-liked member of the international relations community at school. And she comes from Los Altos, a mostly white commuter city near San Fransisco and the breeding grounds of Facebook. Twenty-two-year-old senior Yasmeen Serhan is also openly Muslim. "It wasn't really until college that I ever thought that's something I would ever showcase," says Serhan. 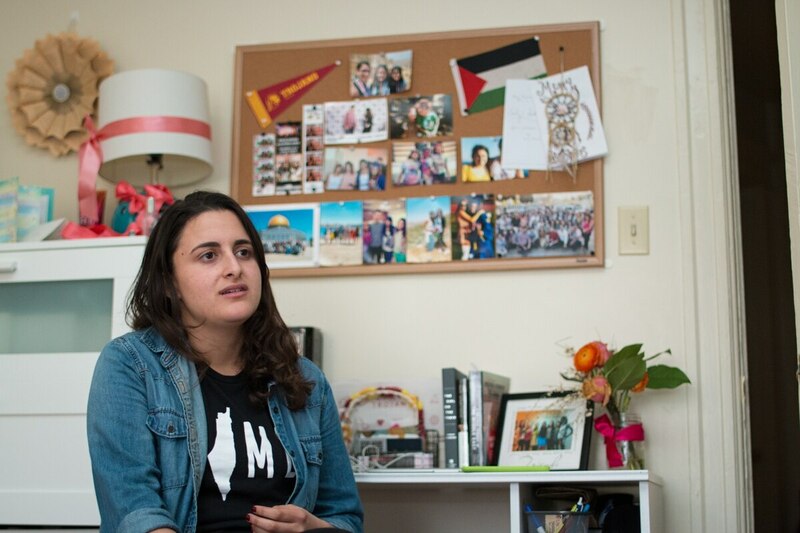 "Having that identity is so complicated in the U.S."
Serhan considers herself a Palestinian-Muslim-American Democrat. She does not wear a hijab or any religiously revealing clothing, yet still embraces Islam as an integral part of her identity. Up until college, Serhan kept her faith to herself. "Do people know that I observe Ramadan fully when its happening? Maybe not. But do I? Yes," Serhan says. "Stereotypically, I don't look like a Muslim." But Serhan believes her "ethnic ambiguity" has been a "gift," preventing much of the negative Islamic rhetoric in modern politics from impacting her life. "There's actually quite a few of us. We're just not in the news," she says. Not looking Muslim is sometimes problematic for Serhan, who has many friends wearing hijabs and scared to leave their homes. It is a struggle between guilt and social freedom. "I'm not afraid I'm not going to get a job. I'm not afraid that people are going to belittle me…and that's a privilege they don't have," she says. Serhan is the daughter of Palestinian parents who sought political asylum in the U.S. from Kuwait following the outbreak of the first Gulf War. It was not until recently that she could put together the whole story of her family's diaspora that spanned over 50 years before the conflict. "I knew my parents left because of the war, but a lot of those leaving were Jordanians and Palestinians like my parents," she says. "Everyone was 'peacing out'." Traveling to the Middle East was a revelation for Serhan when it came to understanding her nationalistic make-up. Despite using a hyphenated identity, she addresses herself as Californian or American with family from the Middle East. "I never felt more American than when I was outside the U.S., but when I'm here, I feel there's that 'Where are you from?' which is a question I have issues with," Serhan says. "It doesn't matter who you are. You're from somewhere else, so of course I'm American. It would only make sense that Serhan be invested in American politics as well. To her, there is really only one choice for president: Hillary. "It's not to say that I'm not captivated by Bernie Sanders, and a lot of like-minded people support him," she says. "I do have questions with the feasibility of some of the things he's proposing. He's a gamble." One thing driving Serhan to vote Democrat is getting the opportunity to have more progressive individuals on the Supreme Court—which can only happen if one retires and a president appoints another. "Those decisions that are going to happen out of the Supreme Court are going to be so impactful to the future of our nation beyond the four to eight-year term," she says. Also important is finding someone who doesn't embrace anti-Islamic rhetoric, but rather addresses the larger issue of national security, says Serhan. "Fear is valid. ISIS is no longer an abstract topic in the news," she says. "Whether or not the response to fear is valid…I don't know." As the primaries draw near, Yasmeen Serhan urges everyone to fulfill their civil responsibility. "We have a lot at stake. It's incredibly important and people need to vote," she says. Reach Staff Reporter Giovanni Moujaes here. Follow her on Twitter here.